Los Angeles, we love you and hate you at the same time. You’re an amazing city that reminds us of the best parts of Miami as well as the worst parts. The best: diverse people, beautiful beaches and lots of things to do. The worst: the horrendous, no-good traffic. Somehow, you have us beat in that department. That West Coast vibe, though — that’s something we’ll never find in South Florida, and it’s something that keeps us going back to L.A. regularly. Our latest trip to the City of Angels was a short one; San Diego stole our hearts this time around. 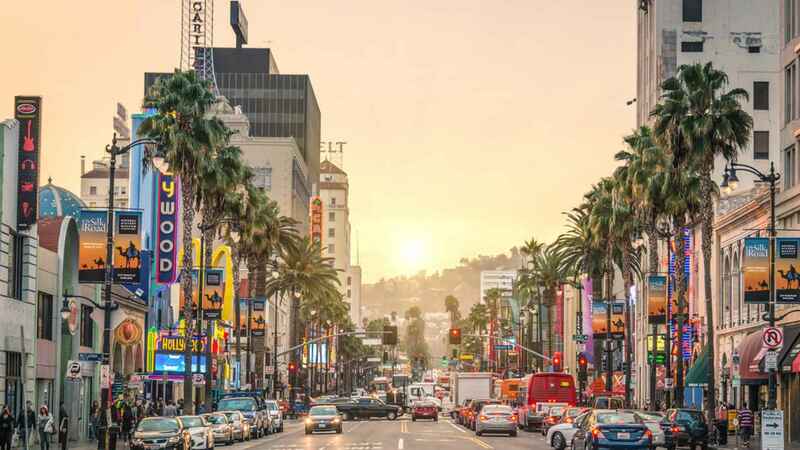 But while we spent just a day in Los Angeles, we still did a lot — and so can you if only have 24 hours. Since we only had a day in Los Angeles, we needed to find a hotel with a central location. 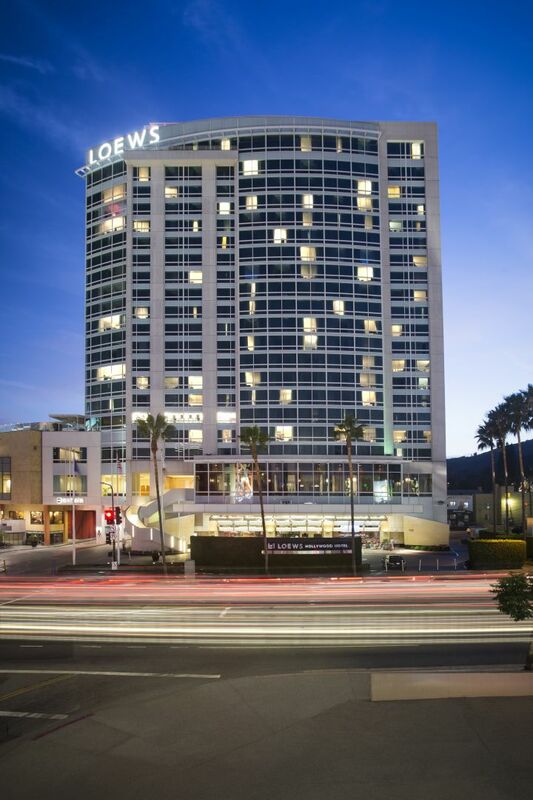 Enter Loews Hollywood, which is located in the heart of the namesake neighborhood. Seriously, you’re just steps away from the Walk of Fame, the TCL Chinese Theatre and all those other spots you see on postcards. The building itself is huge, and it’s easy to get lost at first, but once you find your bearings, navigating the halls is straightforward — the friendly staff helps a lot. This is mainly a business hotel, so expect to see people suited up all the time. Rooms are clean, comfortable and spacious, and views can be spectacular depending on your unit’s location. Not gonna lie: It’s cool waking up to the Hollywood sign. Food options abound inside the hotel. Here, you’ll find a Preston’s cooking up American fare along with Bodega (a healthy grab-and-go joint) and an H2 Kitchen & Bar for all your libation needs. If you’re just staying the night or for a weekend, you have everything you need to keep yourself entertained while on site. A short walk from the hotel is The Running Goose. We were just killing time and stumbled upon it; it’s hard to ignore a name like that. Thankfully, you won’t be running away from this menu. Expect comfort food with influences from all over the globe, but an emphasis on Central America. Comedy is a huge deal in Los Angeles, and we’re grateful for that: We’re still hurting from the loss of the Miami Improv years ago. 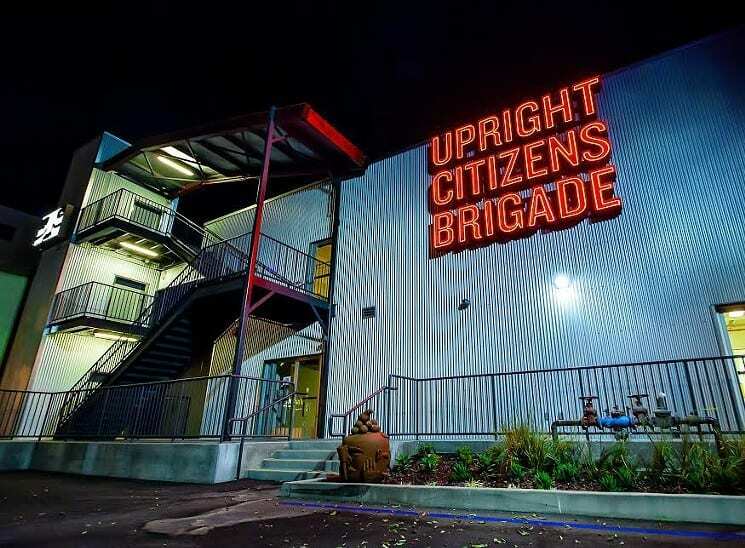 At the Upright Citizens Brigade (UCB) Theatre in Sunset, you’ll come across some hilarious talent on any given night. The best part: It’s an inexpensive outing. Depending on the event, you might even catch a big name or two. On the night we attended (“Cuck: A Comedy Show”), we were treated to a set by the comedy duo Garfunkel & Oates — and it only cost us $12. It’s never a dull night at The Dresden, especially when Marty & Elayne are performing. This low-key lounge was featured in the movie Swingers back in the day, and it will seriously take you back once you walk in — nostalgia overload. Drinks are stiff and reasonably priced (compared to Miami), but service can be hit or miss; servers can get overwhelmed during a packed performance. Still, the potentially long wait for your cocktail is worth it to witness the cutest elderly couple ever serenade the crowd with original tunes and covers. They play five nights a week, so there’s no excuse to miss them. Word of advice when visiting The Broad: Get your tickets in advance. We learned this the hard way when we stopped by this popular contemporary art museum on a whim. Admission is free, but you will be forced to wait in line and bake in the sun if you show up without advance tickets. Once inside, prepare to spend a whole day here. The two-floor, 120,000-square-foot facility is home to over 2,000 pieces of art. One of the main attractions is the famous Infinity Mirrored Room by Yayoi Kusama, which is worth visiting but requires a separate ticket. Exhibitions are always changing, so we won’t bore you with descriptions — check their website for the latest information. Food halls are all the rage nowadays, but before they were cool, there was Grand Central Market. This Downtown Los Angeles landmark, which dates back to 1917, features a range of vendors that cater to just about every palate. For example, fried chicken fans can get their fix at Lucky Bird, ramen fiends can rejoice at Ramen Hall and Instagram influencers can feel cool at Eggslut. If you’re roaming Downtown in search of food and don’t know where to eat, odds are you’ll find something here that hits the spot. 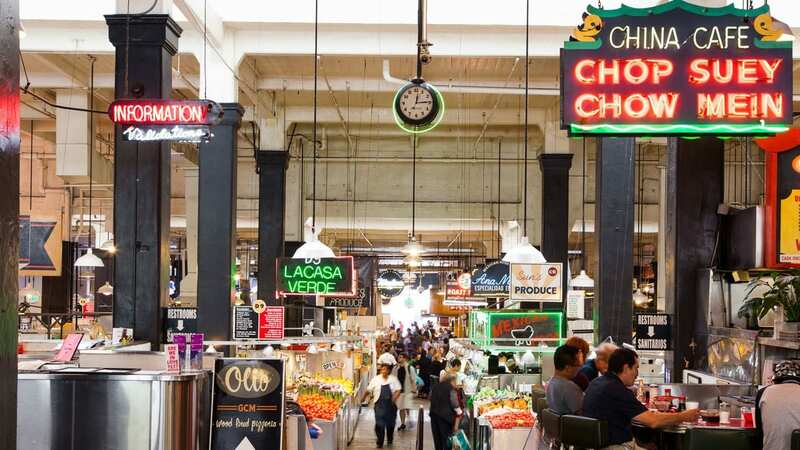 While you’re visiting Grand Central Market, you might as well cross the street and get your history on. 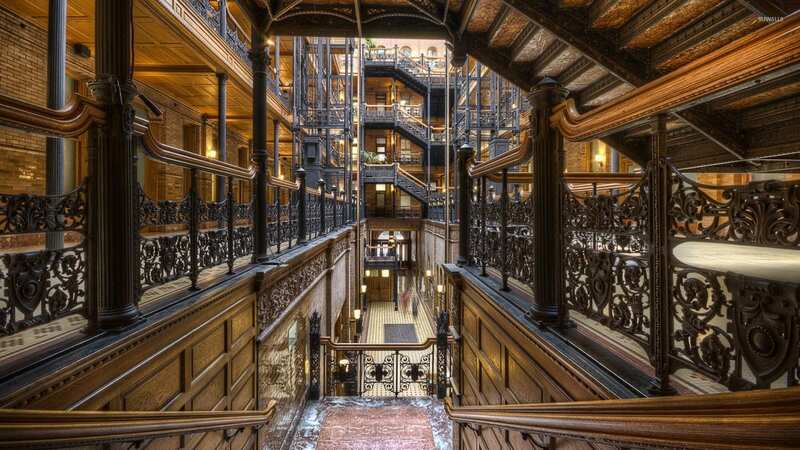 Blade Runner fans will recognize the Bradbury Building instantly — it was a pivotal setting for one of the film’s signature scenes. But there’s more to the place than just movie magic: The building is actually the oldest commercial building in the central city. A security guard will keep you from going too far inside, but from any angle, the marble stairs and super-high ceiling sure do impress.